Bitcoin, the world’s largest cryptocurrency by market capitalization, jumped by 11 percent on Monday, pushing prices above $6,900 for the first time in a month. 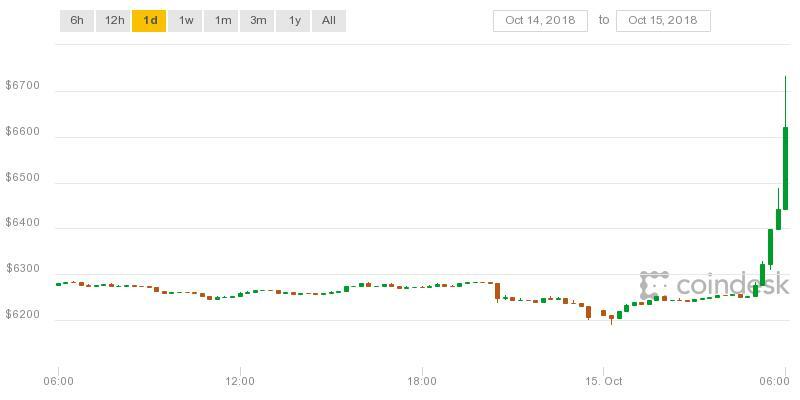 CoinDesk’s Bitcoin Price Index shows that ,just after 5:00 UTC on Monday, bitcoin saw a sudden spike of $400 over the course of 60 minutes, and reached as high as $6,960 by 6:45 UTC – a level not seen since Sept. 6. 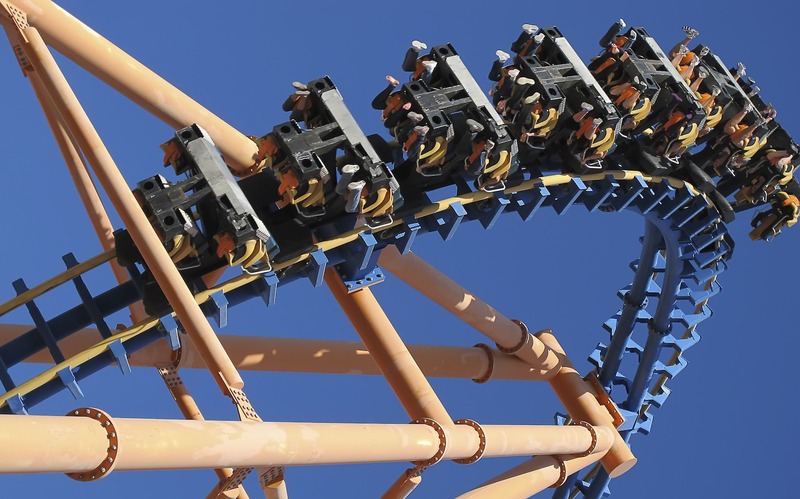 As of press time, bitcoin’s price has dropped back slightly to around $6,800. Meanwhile, the overall cryptocurrency market has also seen a similar rebound roughly at the same time. According to data from CoinMarkCap, total crypto market capitalization saw a sudden jump right after 5:00 UTC and climbed above $207 billion before 6:00 UTC, recording a 3 percent growth within 60 minutes. The top 10 cryptocurrency assets by market capitalization are also showing 2–8 percent gains over the last 24 hours with ethereum, XRP and bitcoin seeing the biggest increases so far. Also notably, among the top 10 crypto assets, USDT, the U.S. dollar-pegged cryptocurrency launched by startup Tether, is the only asset that is experiencing a decline. The token is down more than two percent at press time, marking a yearly-low at $0.96.